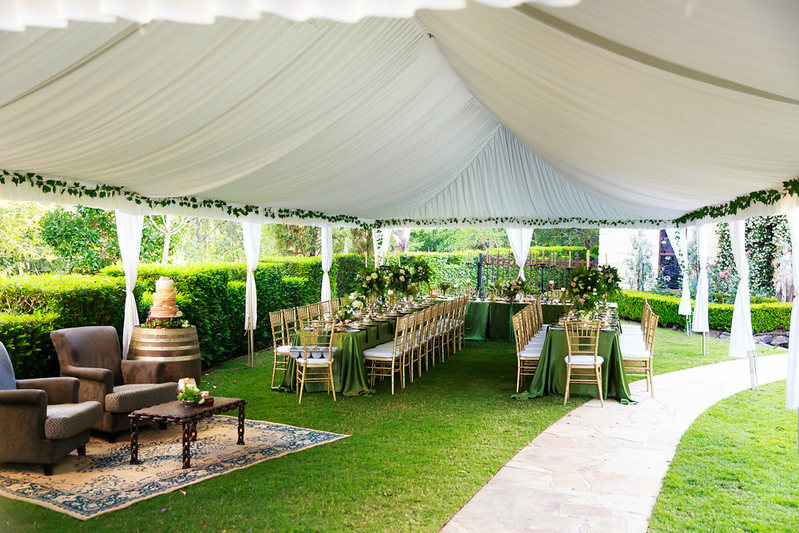 If you are looking for the perfect, intimate place to host your wedding ceremony and reception – Evergreen Garden Venue is it! A secret garden with everything included and all in the one place. 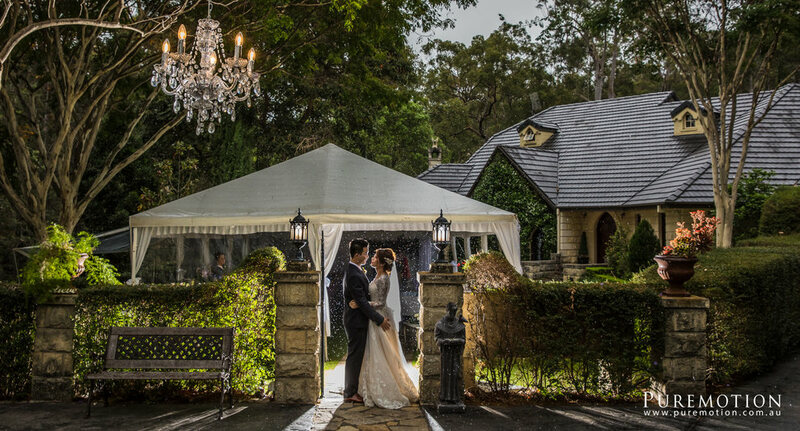 Our Diamond Package – Ceremony and Deluxe Wedding reception package includes your Ceremony, Celebrant, Florist, Reception, Catering, BYO option and Transport for your guests all within one location – our secret garden. Package is priced for 30 people, 6 hours venue hire, available any day up to 60 people. 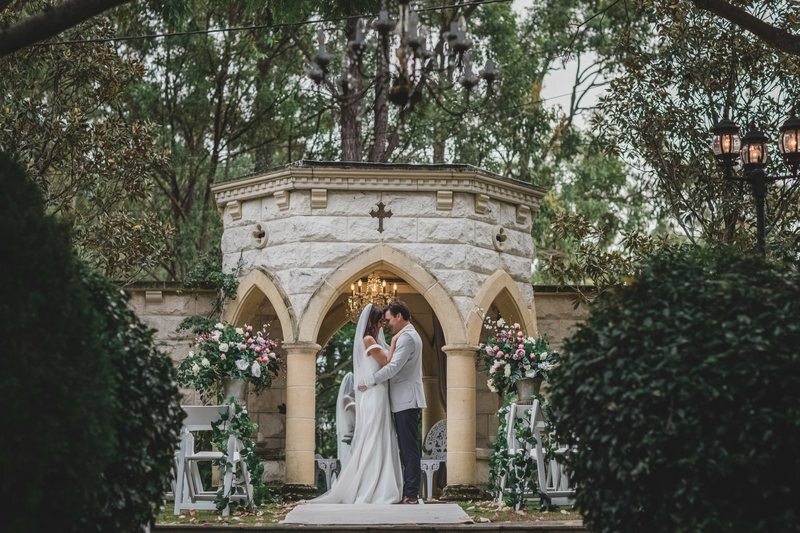 Our Elopement with Garden Party – Ceremony and Reception – this is a cute little package that includes everything in the Diamond package plus your photographer. Package is priced for 20 people, 5 hours venue hire, available Monday to Thursday up to 60 people. 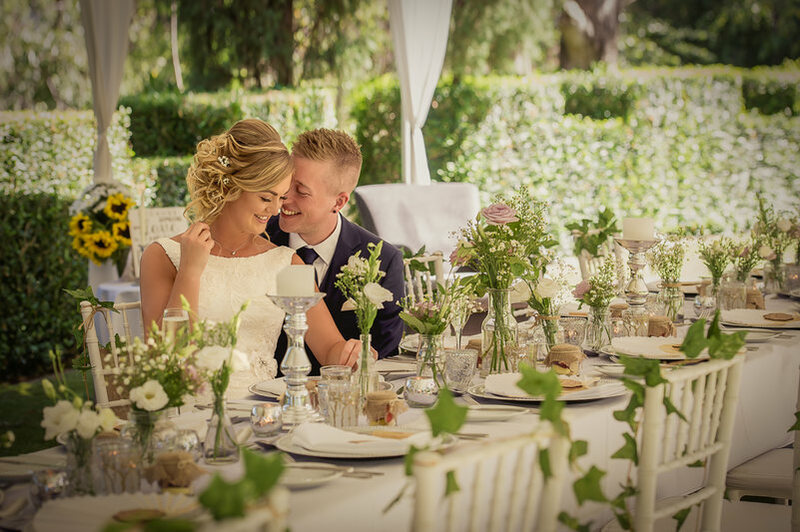 Our Gold Package – Ceremony & Cocktail Party package is an opportunity for a simple celebration to toast the magic of your wedding day with friends and family in our beautiful garden. Package is priced for 30 people, 5 hours venue hire, available any day up to 60 people. All packages create a relaxed stress-free day that you can enjoy with your loved ones. Most suited to daytime and twilight evenings, Evergreen's private gardens are the most peaceful place to enjoy your wedding day. The Diamond package is the ultimate choice that includes ceremony, reception and catering. 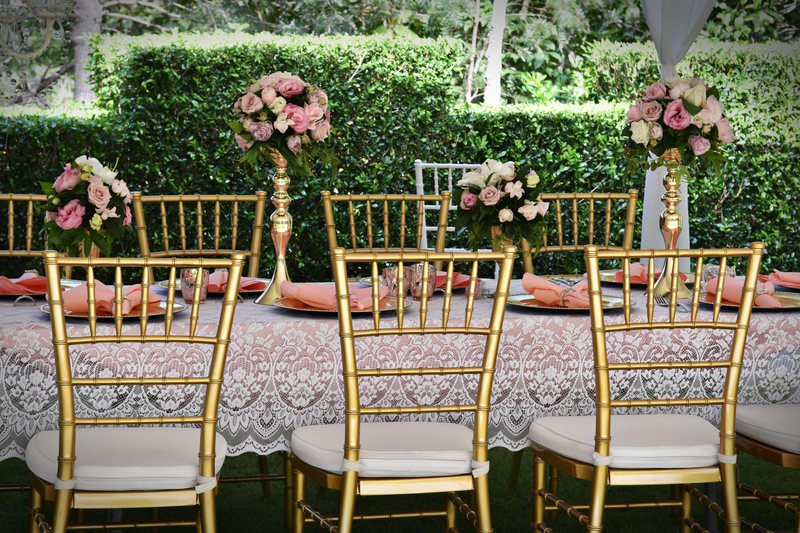 Best suited to daytime and twilight functions, Evergreen’s elegant gardens are the perfect backdrop for your sophisticated event. Once the grand gates close you can relax and enjoy the comfort and privacy in one magical location. Our beautiful gardens, and styled reception give you peace of mind that everything has been taken care of. 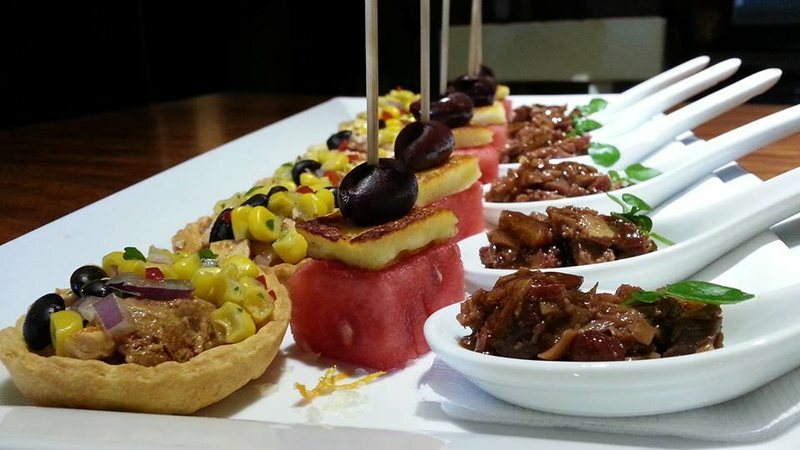 This package is priced for 30 people, any additional guests are priced per head after that with a limit of 60 persons in total. Evergreen Gardens also have consulting stylists and can arrange any extra styling requests that you may have. 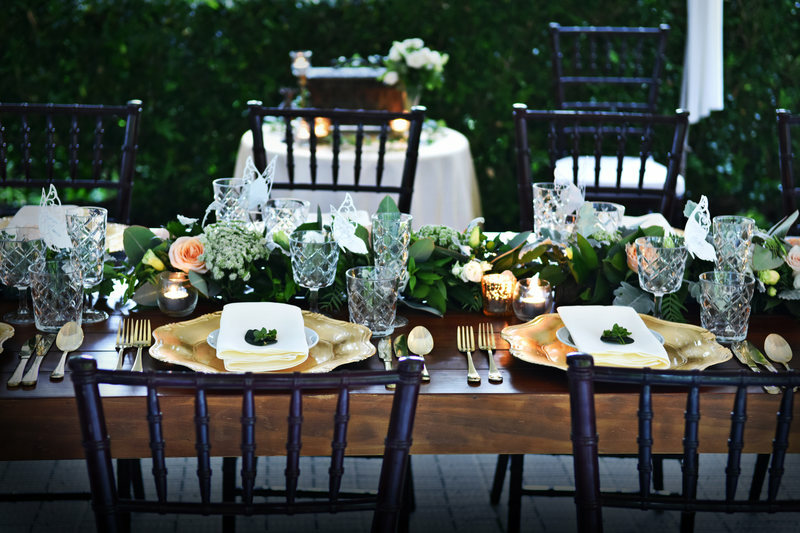 Every reception is different and we have options to reflect your style to create your dream-wedding day. 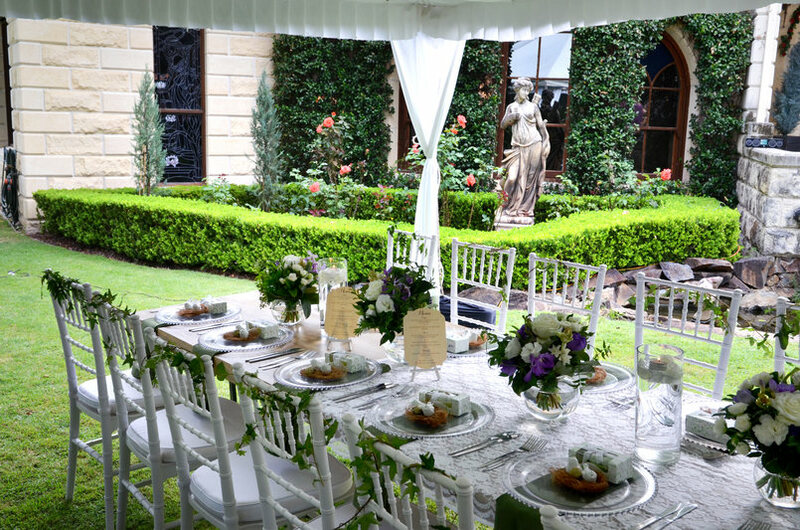 This beautiful combination of Ceremony and Canapes creates a simple relaxed garden celebration to start your married life together. Relax with family & friends in the comfort of our private garden. Take your time to meander through our magical land. Your photographer will capture those everlasting memories while your guests are enjoying gourmet canapés and refreshments served in the grounds. Everybody is happy and relaxed in Evergreen Garden. 6 car parks are available for celebrant, photographer, videographer, Groom, Bride and special needs. 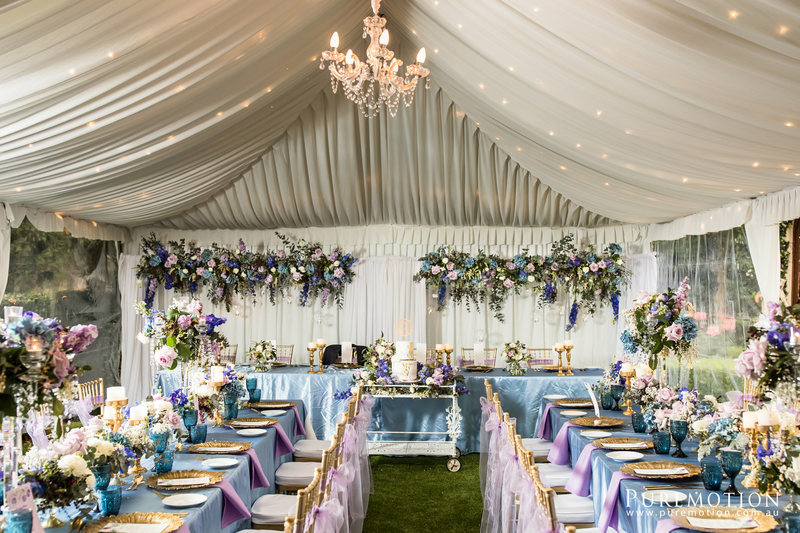 Marina and John who are the owners of this magical venue have ticked all the boxes in our opinion. Our daughter and son-in-law were privileged to have been able to have their wedding at this amazing place! Right from the very first meeting we were put at ease and all our interaction since that day has been so easy and relaxed. 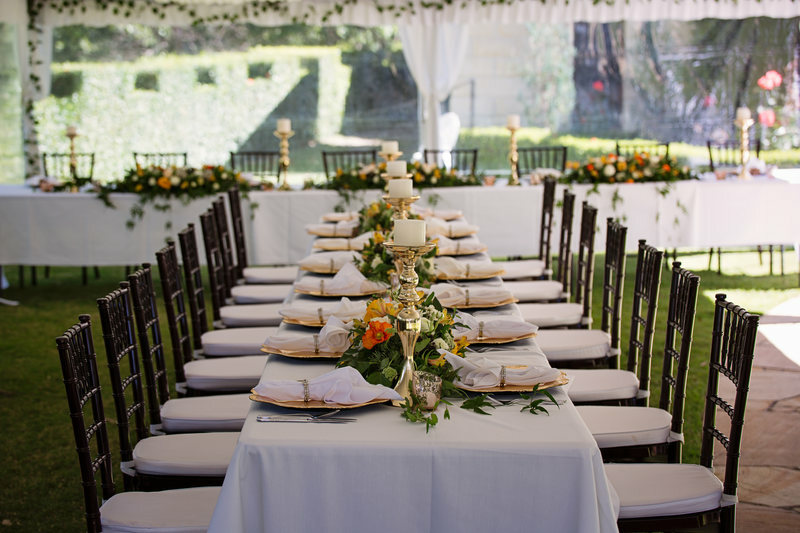 When the guests stepped through the sandstone and iron gate they were instantly transported to a warm and inviting ceremony space surrounded by the natural environment. From the ceremony flowed the cocktail hour where the staff were attentive in every way. Walking into the silk marquee was breathtaking with all the candles beginning to twinkle and again warm and comforting surrounds. Drink staff constantly filling water and champagne flutes and the three course dinner was five star! With the buses included in our package getting our guests back to their accomodation was seamless. Honestly if you are looking for a beautiful , calm and classy wedding venue with easy package options to suit your needs, this is the one! I'm forever grateful to Marina and John for making our gorgeous daughter and son-in-laws wedding day truly magical!